Grand Rapids Salmon on the Grand River. Fall is coming soon to Michigan. Jump on board! 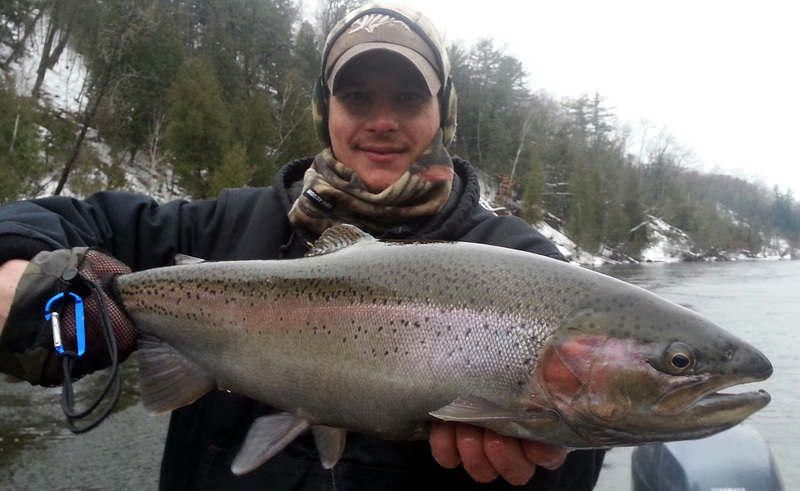 Incredible Winter Steelhead on the Grand River. 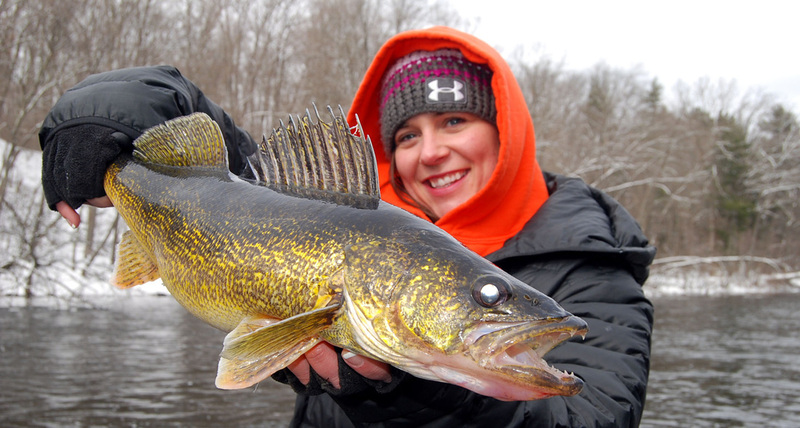 Walleye on the Grand River in Winter. The Grand River in Grand Rapids, Michigan, gets the largest annual Migration of steelhead, of any river in the Great Lakes region. 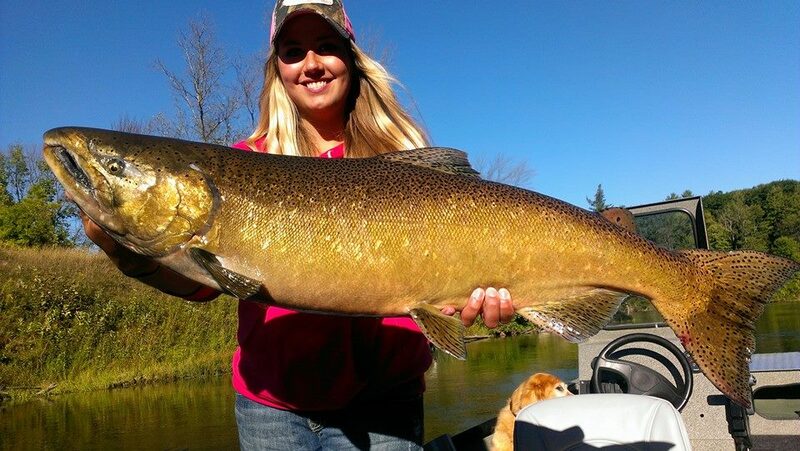 For world-class salmon and steelhead fishing, anglers need go no further than downtown Grand Rapids in the fall. The annual Grand River salmon and steelhead runs bring anglers to the city from all over the state. Anglers can fish for them from boats, by wading the rapids and shallows, or from shore. The Grand River offers incredible fishing for many species such as Steelhead, Salmon, Smallmouth Bass, Lake Trout, Coho, Skamania, Catfish, Bass, and Walleye. Variety is the name of the game for this river. Multiple species may be caught at any time on this river. 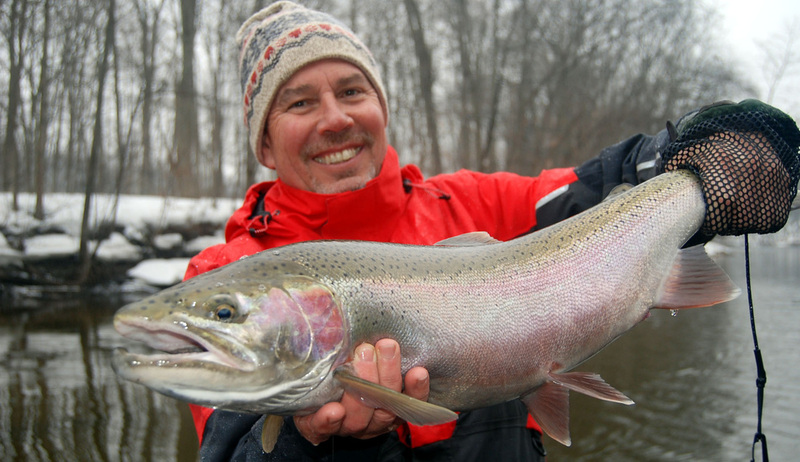 December offers tremendous Steelhead fishing!